The tremendous variety of drapes and curtains available today in Philadelphia makes it possible to have a totally individual look in every room of your home or place of work. If you are thinking of installing drapes, consider first its possible function before you even think about its style. For starters, lined drapes are often recommended for those who wish to increase privacy and to keep the house from getting drafty. They also last longer, specifically because they safeguard the fabric from sun damage. Line drapes are also thicker and have a more luxurious look and feel. If you are after something that’s more decorative and inexpensive, however, consider getting unlined drapes instead. The texture of the drapes often sets the mood of the room. Go for heavy silk, velvet, rayon blends, or cotton if you’re creating a formal environment. For rooms with a more casual feel, you can choose linen, crushed velvet, or cotton blends. Note, though, that while velvet or silk are also great insulators, these types of fabric are dry clean only. If you are looking for something that you can wash on your own, go for cotton sateen, cotton blends, or silk rayon blends. Decide whether you to stand out in contrast to the decor or blend with it. If you wish for them to blend, the color should be the same tone as the wall, but a few shades darker, matching it with the non-dominant color in the room. For a striking contrast, pick a bold color to make an exclamation point. If you use unlined curtains or drapes, the sun will stream through and infuse the room with the color you have chosen. If you are thinking of a drape with a print or a pattern, note that you can only do this if you have solid-colored beddings and furnitures. Otherwise, you might end up with clashing patterns may possibly give you a headache. 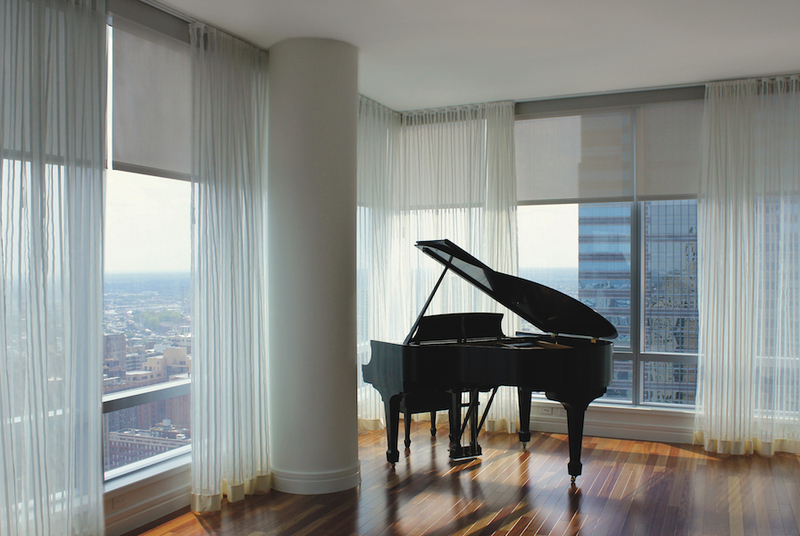 Allure Window Treatments in Philadelphia can help you with giving your room a little bit more color. Add a fresh new look to your tired, old space today by installing drapes.